Finding Nemo. Toy Story. The Incredibles. These wildly successful, award-winning films are all part of the outstanding canon Pixar Animation Studios has produced since its inception in 1986. Pixar co-founder and president Catmull takes us inside the company and its evolution from unprofitable hardware company to creative powerhouse. 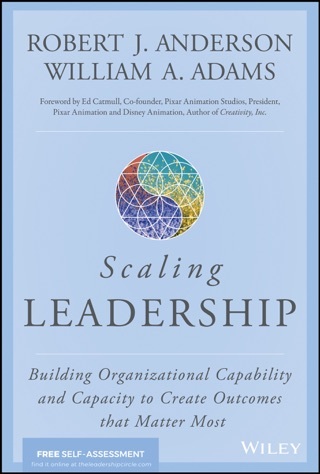 Along the way, he addresses the challenge of building an effective and enduring creative culture. Punctuated with surprising tales of how the company's films were developed and the company's financial struggles, Catmull shares insights about harnessing talent, creating teams, protecting the creative process, candid communications, organizational structures, alignment, and the importance of storytelling. His own storytelling power is evident as he narrates the company's precarious journey to profitability. Written in an earnest and introspective tone, with the help of Wallace, the book will delight and inspire creative individuals and their managers, as well as anyone who wants to work "in an environment that fosters creativity and problem solving." 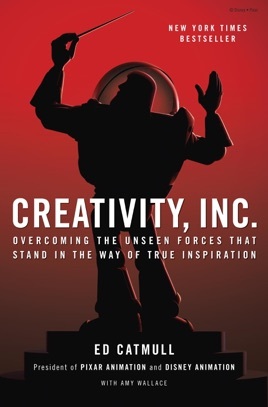 Catmull's voice and choice of topics reveals him to be a caring, committed, philosophical leader who loves his work, respects his creative colleagues, and remains committed to the advancement of computer animation and great filmmaking. Creativity Inc. is one of the most inspirational, insightful, and honest books I've read in awhile. Two thumbs up! If you're an experienced manager, aspiring leader, or someone who simply enjoys learning about behind the scenes of such an interesting and unique company, then this book is a must read. I wish every business owner would read this. This is my third copy. Bought a hardback, then bought another as a gift. Just bought this for my iPhone and iPad because it's a reference book as much as it is a biographical page turner. It's just awesome. Catmull is honest and humble while bragging about some of the biggest pop successes ever. Highly recommend. Creativitiy Inc is one of those books that not only inspires leaders and future leaders alike, it inspires employees and followers as well. Everyone has a voice and an environment that allows those voices to be heard in a meaningful and respectful way enables a culture to thrive and be excellent. Also the concepts on making mistakes in invaluable. This book is neccessary!